Financial support up to Rs 50 lakh will be provided to innovators and entrepreneurs as a grant in aid under this programme. 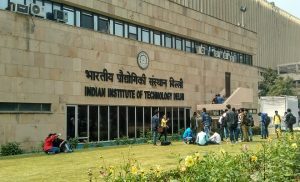 The Indian Institute of Technology Delhi (IIT Delhi) is inviting applications from innovators and startups working in deep technology domains for admission to an incubation programme through its autonomous body Foundation for Innovation and Technology Transfer (FITT). The Platform for Harnessing Deep technologies (PHD) incubation programme intends to support deep technology ideas that have substantial market potential. It primarily aims to provide a strong foundation to high-risk innovative projects to achieve and validate the Proof of Concept. Under this programme, techno-entrepreneurs will be given infrastructure, mentorship and funding support to take the quantum leap towards commercialization. It is envisaged to be primarily based out of IIT Delhi’s TechnoPark at the Sonipat Campus. “If you have a great idea in deep tech space, IITD will take care of the rest. The PHD Incubator Programme provides comprehensive support for converting your idea into a startup, including a fellowship and accommodation to the budding entrepreneur as well as funds for the development of proof of concept,” said Ramgopal Rao, Director, IIT-Delhi. The incubation and funding support will be provided for over a period of 24 months in determined installments. The funds will be released as per the progress made under predetermined milestones decided based on objectives of the project. Financial support up to Rs 50 lakh will be provided as a grant in aid. In exceptional cases, additional funding may be considered. However, mentorship and networking opportunities will be provided even after completion of this incubation period. The entrepreneur/startup is required to be physically incubated at the Sonipat Residential Incubator (SRI) at IIT Delhi’s extension campus for the entire duration of this programme. Project leader will be provided free boarding and lodging at the SRI while other team members can avail accommodation at the facility on paid basis. The last date to submit the application is April 30, 2019. Detailed guidelines and application forms are available at IIT Delhi Website (https://fitt-iitd.in/harnessing-deep-technologies/).